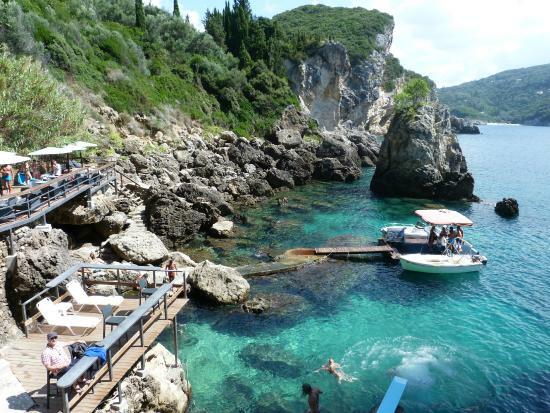 A place of rare natural beauty, just 26 km northwest from the city of Corfu, Palaiokastritsa consists of two long sandy beaches surrounded by astonishingly sculpted rocks with cold, emerald waters. The coast is ideal for diving and snorkeling, due to the numerous coves and the underwater caves. Scenes from the James Bond movie “For Your Eyes Only” were also shot here.